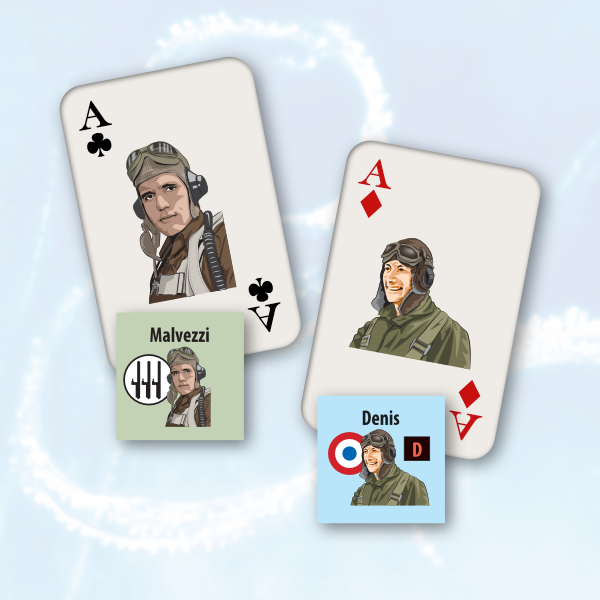 Portraits represent flying aces from WWII. 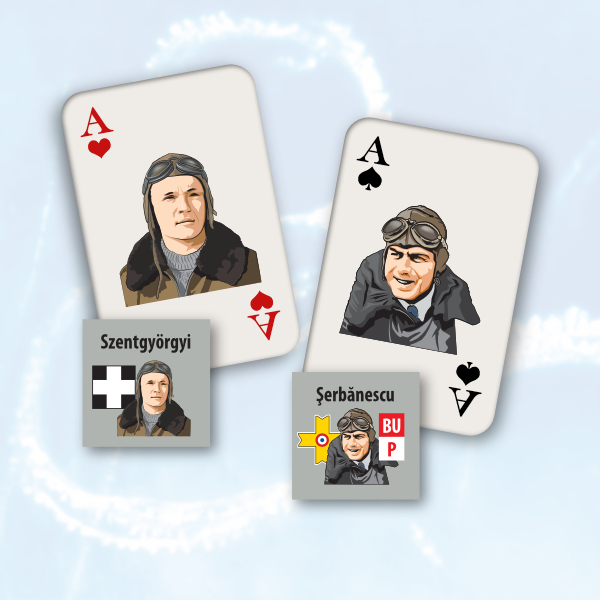 The pilots are from Italy, France, Hungary and Romania. The graphics are based on original black and white photos. They were made in Adobe Illustrator.